In the fictitious Bad City – a ghost town for downtrodden, lost souls making an illicit living – a lonesome girl with a penchant for nighttime stalking takes long walks deep into the darkness. Then, lonesome girl meets a boy and an unusual love story starts… teething. 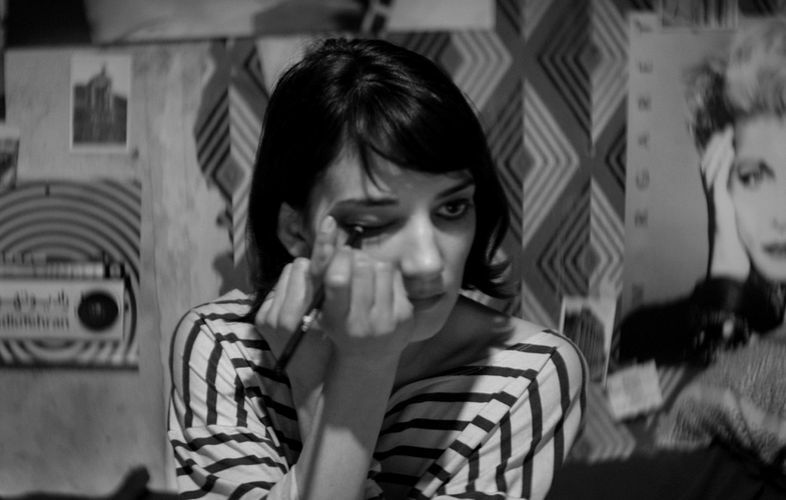 First-time filmmaker Ana Lily Amirpour, who has a background in art and was in an art-rock band before going to UCLA, gleefully borrows elements from different genres, iconography and archetype (such as a James Dean-esque character). Strong Western influences make her film more of a Western-Iranian mash-up than a distinctively Iranian product, and some viewers will no doubt enjoy playing spot-the -reference throughout pulpy, surrealistic sequences thrown together with relish.